Discussion in 'Model 3' started by Bennny, Apr 1, 2016. It's been mentioned the M3 is 20% smaller than the MS. Does any know - does that apply to interior volume, or exterior dimensions? It's been stated to be comparable to a BMW 3 series or an Audi A4. So you can look up the dimensions of those cars and get an estimation of what the Model 3's size would be like. The current A4 and M3 are about 185 inches in length with 110 inch wheelbases. That's about 4700mm and 2800 mm. It'll likely have larger interior volume since it doesn't have to house an engine, gas tank, and conventional transmission. BMW 3 series: length 182.2 in. , width 71.3 in. , height 56.3 in, wheelbase 110.6 in., cargo with seats in place 17.5 cu.ft. BMW 4 series (not same price range): length 182.6 in. , width 71.9 in., height 54.7 in., wheelbase 110.6 in. , cargo with seats in place 14.0 cu.ft. Audi A4 : length 185.1 in. , width 71.9 in , height 56.2 in. , wheelbase 110.6 in. , cargo with seats in place 12.4 cu. ft.
Mercedes Benz C300: length 184.5 in. 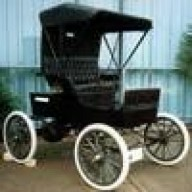 , width 71.3 in., height 56.8 in , wheelbase 111.8 in. , cargo with seats in place 12.6 cu.ft. Volvo S60: length 182.5 in. , width 73.4 in., height 58.4 in. , wheelbase 109.3 in. Lexus IS300: length 183.7 in., width 71.3 in., height 56.3 in. , wheelbase 110.2 in. , cargo with seats up 13.8 cu.ft. Cadillac ATS : length 182.8 in., width 71.1 in., height 55.9 in. , wheelbase 109.3 in. , cargo with seats in place 10.4 cu.ft. Jaguar XE : length 183.9 in. , width 77.4 in., height 55.7 in. , wheelbase 111.6 in. , cargo 15.9 cu.ft. Has anyone who saw Model 3 in person give us an idea about the dimensions ? I saw comments to the effect it was still too long. Model S is not too long. So Model 3 can't be so. Saw this post on Facebook. Might be able to extrapolate based on wheel size? Did anyone note the tire/wheel size? If we knew that we could work out rough dimensions. Ah! That was extremely helpful. It probably wouldn't be too hard to do the same with a negative image of the BMW 3-Series dimensional drawing. I believe they centered the front wheel of the drawing with the photo and scaled so that the bottom of the drawing's tire 'touched the ground'. Very impressive. That the M3 has a longer wheelbase and larger wheels than the BMW, which is throwing your scaling off. The Model 3 has 20inch wheels according to this post: could you combine again the two images according to this measure? The Model S is not short either. It may not be Chevy Suburban long but it's far from being a short and narrow car. I scaled the image based upon the overall diameter of the tires, not the length of the wheelbase, or diameter of the wheels. Just as I surmised was done in the linked image above. I was actually surprised at how close the wheelbase was between the two afterward. I expected the Model ☰ to be around 114" for its wheelbase. 2) The tire diameter is about 1/10 of the vehicle length, so any inaccuray will be amplified by a factor 10. 3) I believe a design criterion of the Model 3 is that its outer dimensions should approximately match that of a BMW 3-series. So either I am misinformed or the scaling is wrong (or both). If the wheels are actually 20" in diameter on the press kit silver image. I calculate the car to be about: 160" long with a 108" WB. I just measured how many wheel diameters long the car was, then multiplied by 20". Someone want to try their hand at verification?